Actually it's 22 of 99 so 22,22% or with 23 of 100 The Ur-Dragon and then straight up 23%, however I prefer the first calculation since we always have our commander aviable as 8th card at the start of each game. The critical mass you've mentioned I think it's somewhere between 20-21 and getting lower than that might hurt more than it helps, so getting rid of 1-2 from initial 24 might be a good decision. 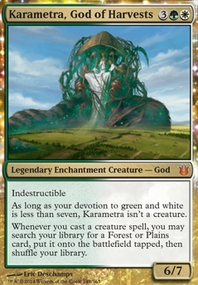 And Sarkhan's Triumph is actually bad for it's cost - we're better off with Eladamri's Call since it also gets creature to the hand so with Goreclaw, Terror of Qal Sisma , Selvala, Heart of the Wilds and Bloom Tender being good at every point of the game it's straight up upgrade. 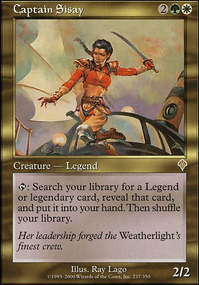 For there's also Worldly Tutor , which, when used just before our turn is technically getting a card to hand? That might be the correct play of it. 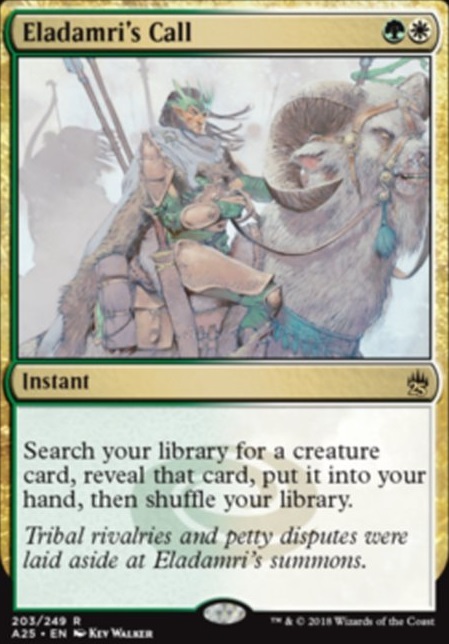 As for a high CMC card to cut, I'd prob go with Sandwurm Convergence ; it's a fun card, but it's a little win-more and your slowest token generator by far. Last thought - acknowledging it would mean a lot of changes - did you consider the white mass token sorceries? 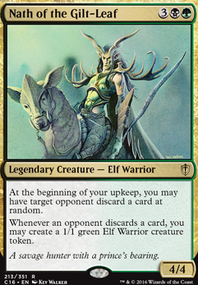 Nomads' Assembly is a potential 2-turn win-con with Epic Struggle, and Martial Coup doubles as a board wipe. Just a thought. 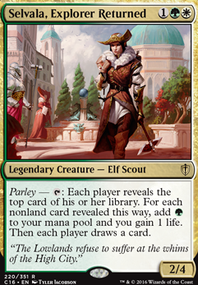 Now of course given Roon's colors there is lots of room to pop in some great non-creature spells as well. We're looking for anything that can grab us whatever we need from our creature toolbox, manipulate the field to our advantage, and of course some effective removal as well. And those are just to name a few cards. 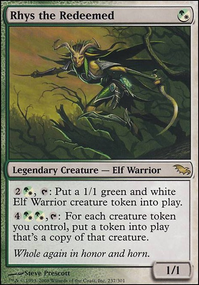 Of course you have access to a lot of ETB copy stuff like Clever Impersonator that turn into whatever you want it to turn into when you blink it in; they can really turn the tide in your favor. 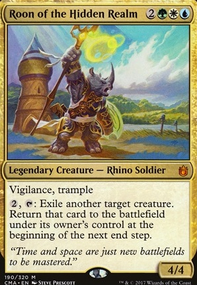 I did up a proto-type deck here: Roon Proto-Type. Give it a test run and let me know what you think about it. Ok, made a few changes. 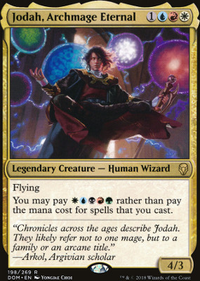 Out: Tymna, Walking Ballista, Worldly Tutor, and Abzan Battle Priest. In Viscera Seer , Ghave, Guru of Spores , Ayli, Eternal Pilgrim , and Eladamri's Call . Raised my avg cmc. to 2.86 which I'm still happy with.